Keep your laundry organised with this basket. White woven design with carry handles, perfect for holding clothes ready for wash day. 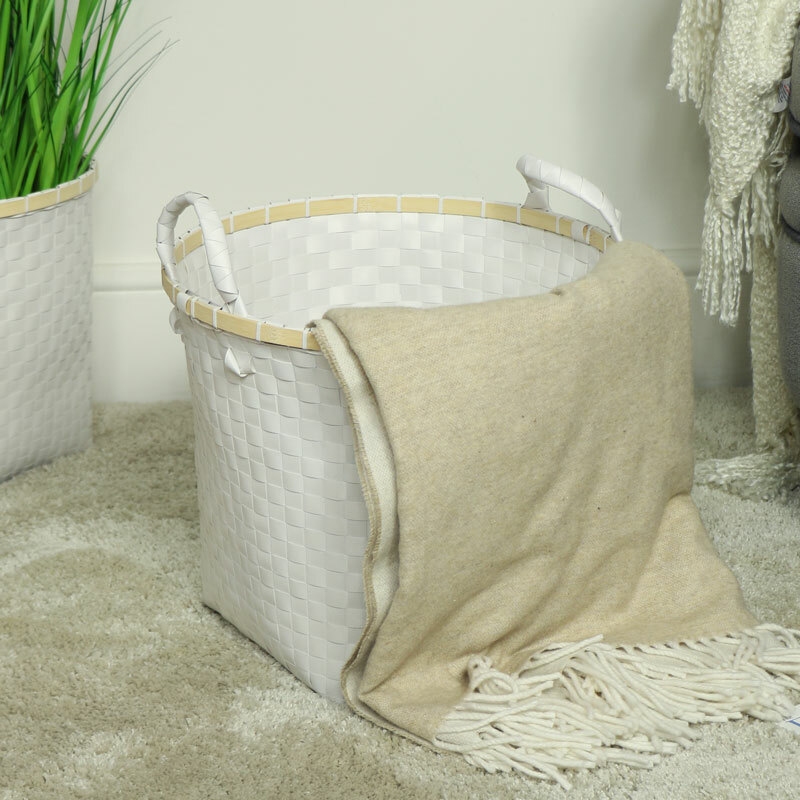 Ideal for use in the bedroom or bathroom, the basket comes with carry handles making it easy to carry from room to room. Perfect for holding clothes and a great idea for toy storage. Keep your laundry organised with this basket. White woven design with carry handles, perfect for holding clothes ready for wash day. 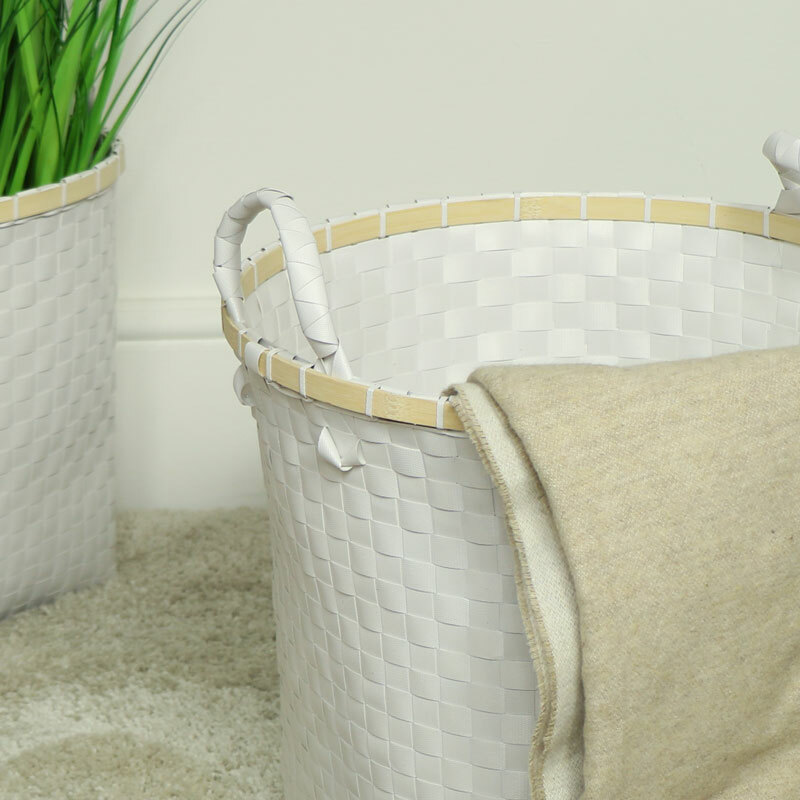 Ideal for use in the bedroom or bathroom, the basket comes with carry handles making it easy to carry from room to room. Perfect for holding clothes and a great idea for toy storage.